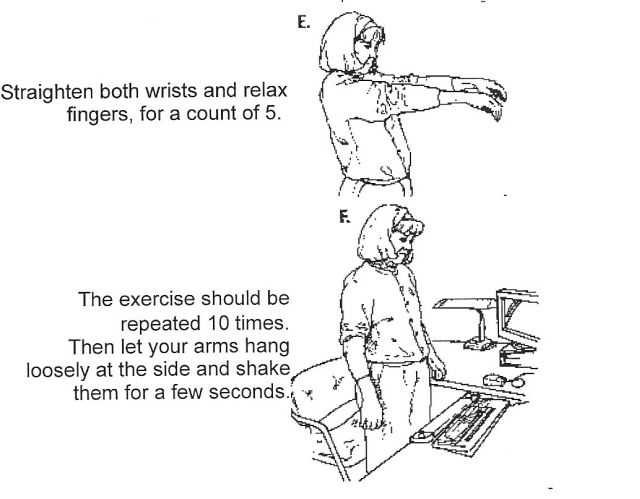 Here are some free carpal tunnel exercises. They were originally developed and tested by Dr. Housang Seradge at the University of Oklahoma Orthopedics and Reconstructive Research foundation. Some studies have shown that 2 out of 3 patients with mild to moderate carpal tunnel symptoms were able to avoid or delay surgery by using these exercises, along with other nonsurgical treatments. 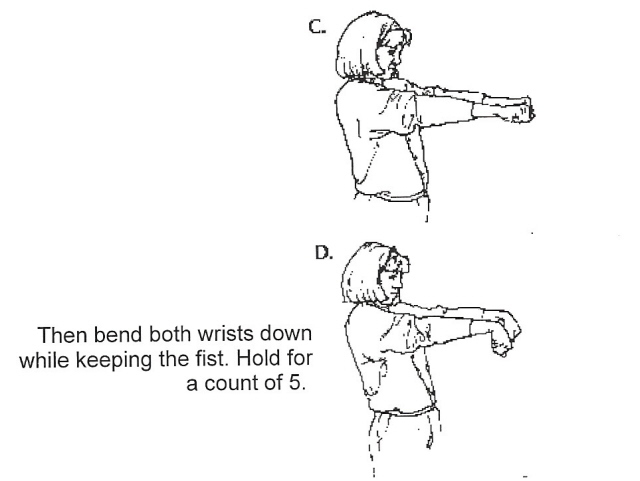 Other free carpal tunnel exercises. 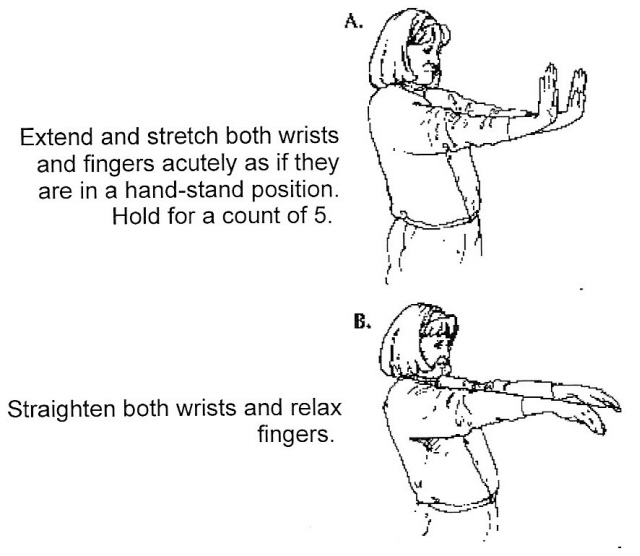 Below you will find some exercises for carpal tunnel. They are intended to help prevent carpal tunnel syndrome, where the cause is from repetitive use or from having your wrists and hands in a fixed position for too long. Remember, doing a quick 5 minute carpal tunnel exercise warm-up before starting your work, hobby, or sporting activity may help prevent repetitive strain injuries like CTS.